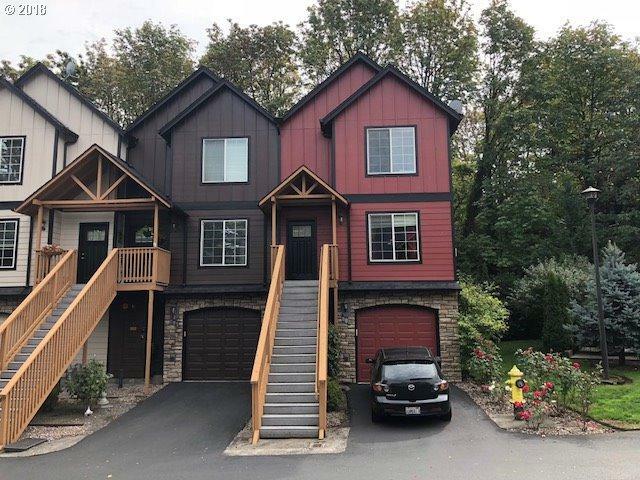 Open House 2/24 1-4---- Natural landscape of tall trees is this upscale Spacious townhouse.Large kitchen w granite countertops, island,and ss appliances.Open floorplan,corner fireplace. Large vaulted master suite with double closets and a spacious upper deck overlooking your parklike setting below! Lower level familyroom/3rd bdrm/Guest quarters with full bath and outside entrance! Fenced @ Pvt,Covered patio,Corner unit,Oversized garage.